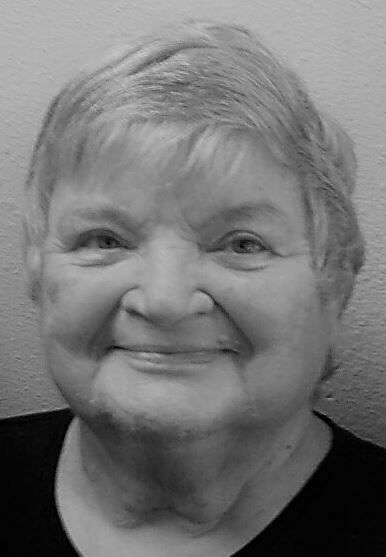 Virginia Lee Bowles, Milton-Freewater, Oregon passed away January 27, 2019 at her daughter’s home in Washougal, Washington at the age of 81 years. Virginia was born August 20, 1937 in Gooding, Idaho to Ralph and Grace (Colvin) Thompson. She served in the U.S. Air Force from 1956-1958. After going to school, Virginia worked at Gooding County Memorial Hospital as a lab and x-ray technician for over 20 years. After falling ill, she was retrained and moved to Milton-Freewater where she built a business as a bookkeeper, enrolled agent and licensed tax consultant. Awarded the Mayor’s Community Service Award in 1998, Virginia was well-known for her involvement in the community through Kiwanis, Muddy Frogwater Festival and other volunteer positions. Giving of her time, talent and financial support was a hallmark of Virginia’s life. She was a member of Wesley United Methodist Church, Milton-Freewater Kiwanis Club, American Legion Post #24 and the Milton-Freewater Library Board. Virginia is survived by a daughter Victoria (and Tom) Polmatier, her granddaughter Amber Clark (Brian Roy), grandson Kaleb Marsh, brothers Glenn (and Lydia) Thompson and Dale (and Evelyn) Thompson, three nieces, four grand-nieces and one great-grand-nephew. She was preceded in death by a son Raymond Ralph Bowles and a grandson Jason Douglas Williard. The family would like to thank PeaceHealth Hospice Team for their exceptional care. Memorial services will be Friday, February 8, 2019 at 3 p.m. at the American Legion Building, 424 N.E. 8th, Milton-Freewater, OR. Memorial contributions may be made to the Wesley United Methodist Good Samaritan Program, Milton-Freewater Kiwanis Foundation, Walla Walla Community Hospice, PeaceHealth Hospice or the Women’s Memorial Foundation through the Munselle-Rhodes Funeral Home, 902 S. Main, Milton-Freewater, OR 97862. There will be a Celebration of Life in Glenns Ferry, Idaho in the early summer of 2019, her favorite time of year.